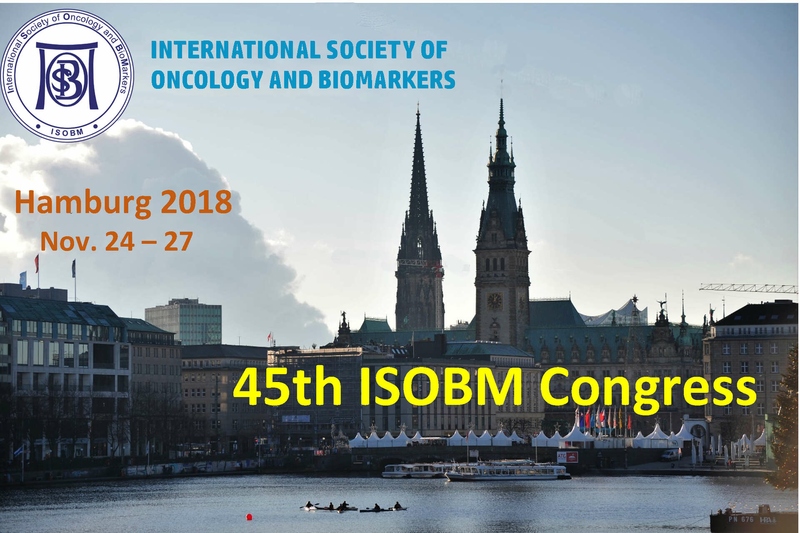 Participants wishing to present Oral or Poster presentations at the 45th ISOBM Congress, should submit an Abstract for review by the Program Committee. Abstracts must be submitted in English, via the on-line Abstract Submission. The Presenting Author is required to ensure that all co-authors are aware of the content of the Abstract, before submission. A participant can be the Presenting Author of 2 Abstracts only. All correspondence related to the submitted abstract will be sent to the Presenting Author only. Notifications on the status of the abstracts will be sent to the presenting author by September 15, 2018. Part of the oral presentations will be selected from submitted abstracts. The Program Committee will decide on the final format of presentation, while taking into consideration the author's preference. The name of the Presenting Author will automatically show as the first author and underlined. Insert only the names of the additional authors, in the order that they should appear in the Abstract. Insert full first name and last name of all authors, in Title Case. Text should be in Title Case. Do not abbreviate Department, Institute, University, etc. Poster presentation - POSTER DIMENSIONS: Width - 126CM, Length - 193CM. Invited lecture - to be selected by invited speakers only. Limited to 25 words. Use Title Case. After SUBMITTING, a system "End Message" indicate that the abstract was successfully submitted. Confirmation will be sent to your e-mail address. Shortly after submitting your abstract, you will receive by e-mail an automatic detailed Submission Acknowledgement with your abstract number also for print. Change abstract Submission To submit an updated version of your abstract, please enter again.